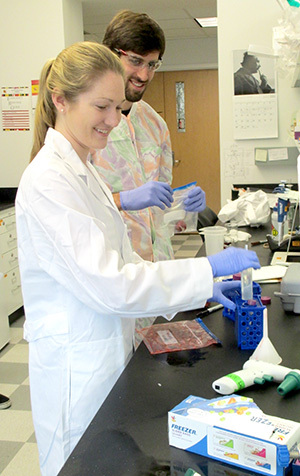 Research education, science awareness, and mentoring are a key part of the Jewell Research Lab and our interactions with the community. 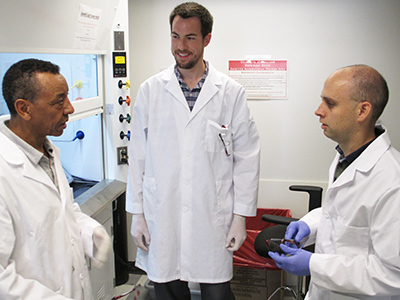 The inter-disciplinary nature of the biomaterials and immune research we conduct creates an opportunity to engage students and community members with a range of science and engineering interests. Building on this idea, our lab develops and supports a variety of outreach activities and partnerships. 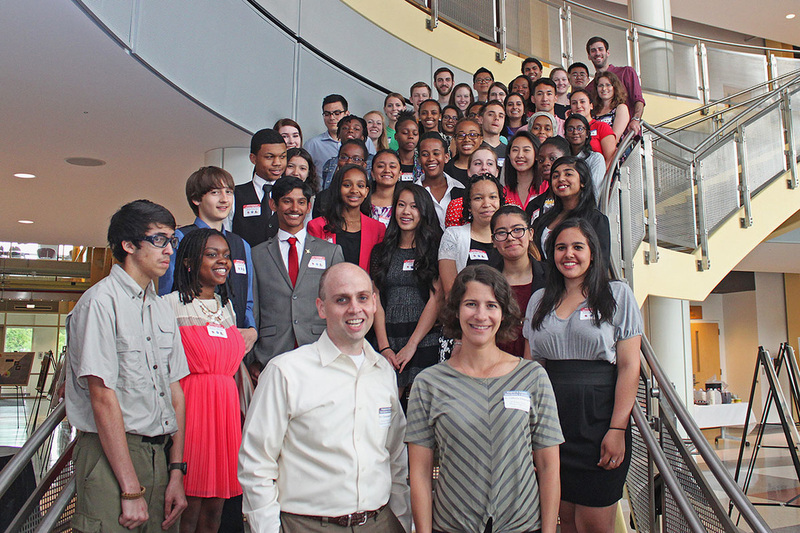 Through these efforts we have worked with more than 350 high school students, held regular service events within the community, and provided training in scientific leadership and mentoring to more than 70 undergraduate students, graduate students, and postdoctoral scientists. We're lucky to be in a fantastic and supportive setting and look forward to continuing our work. Continue below to learn more. Our lab has created the Program to Enhance Participation in Research (PEPR, pronounced "Pepper"). 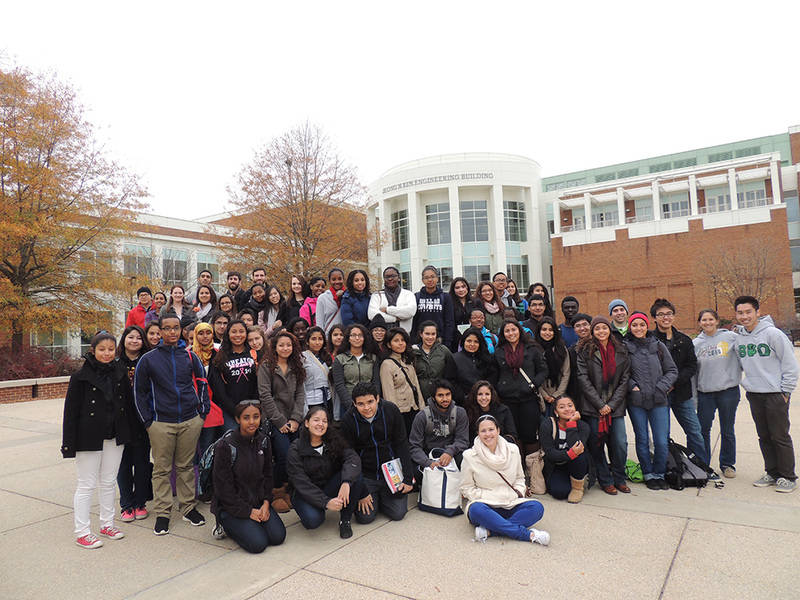 Several components of this program are conducted in a partnership with the Biosciences Academy and Magnet programs at Wheaton High School (WHS), and with support from the National Science Foundation CAREER Award. Over the course of the academic year, 10th grade Biomedical Magnet students select and research a biotechnology topic. 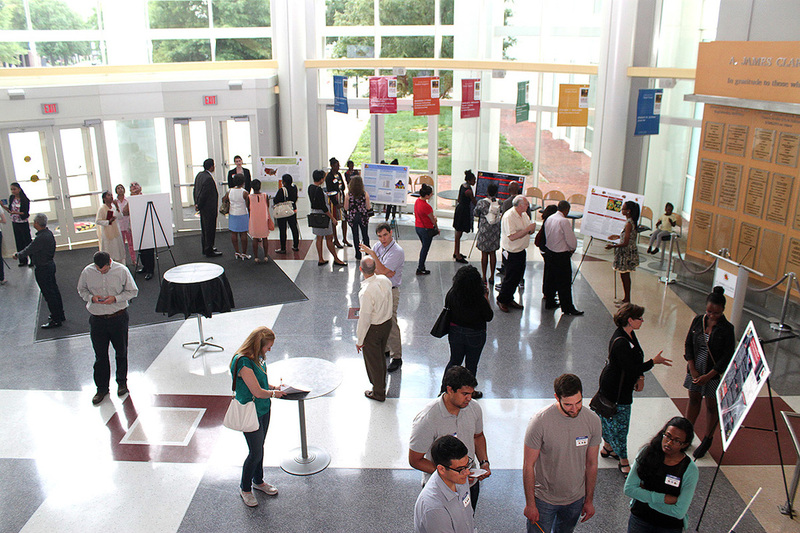 Students prepare high quality research review articles and posters that they present during a poster session and reception at the University of Maryland each spring. These experiences are facilitated by a series of lectures, workshops, assignments, and field trips. An important part of the program is pairing participants with a year-long graduate student or postdoctoral mentor from around the college of engineering at the University of Maryland. The experience continues and broadens for 11th grade students enrolled in the WHS Biosciences Academy as they complete the Medical Interventions course. Each November, students participate in a 3 week module during which they learn about the challenges and opportunities facing vaccines in public health. During week 1, students participate in a lesson and complete a pre-lab assignment to prepare for experiments. 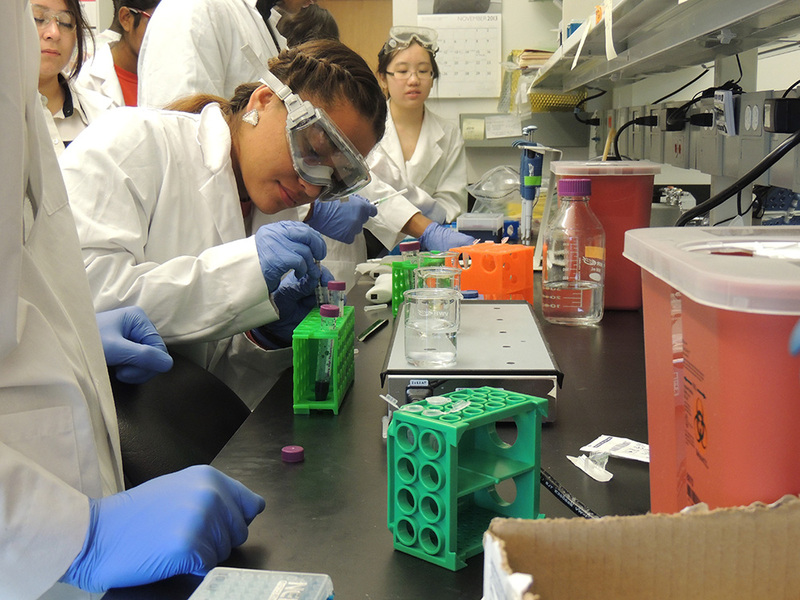 In week 2, students travel to the Jewell Research Lab at the University of Maryland for a lab experience where they learn about vaccine technology, then carryout hands-on experiments to synthesize and characterize vaccine particles. In the final week, students participate in a debrief activity at WHS with Dr. Jewell and members of his lab. 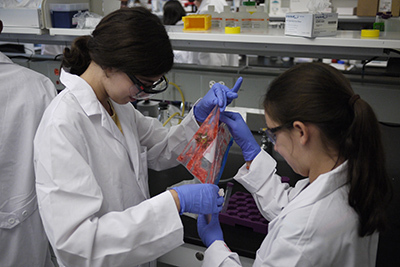 Our lab has ongoing research projects aimed at developing more effective and selective vaccines for pediatric cancer. 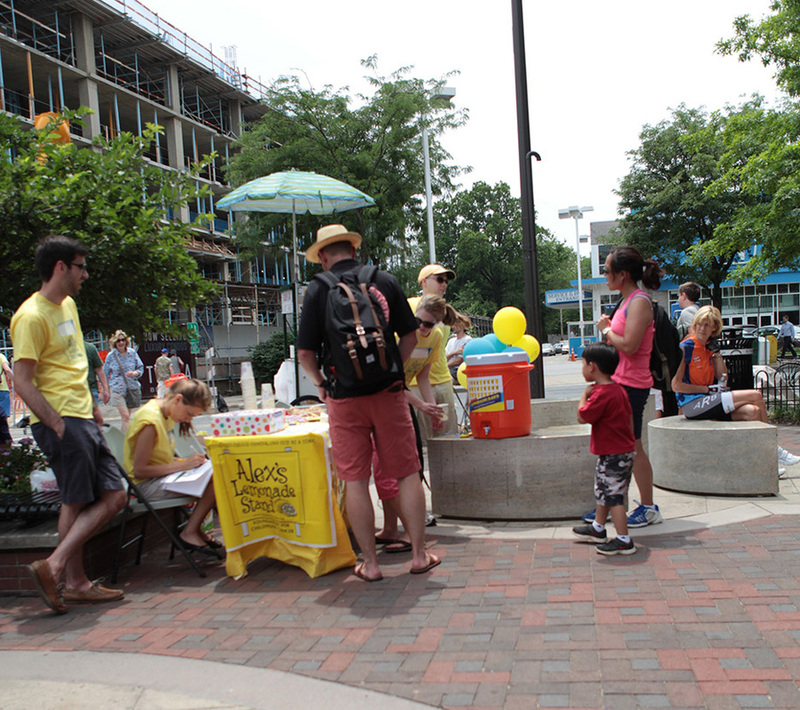 One of the sponsors of this work is Alex's Lemonade Stand Foundation. We, along with researchers around the country, have ongoing partnerships not only to conduct this important research, but to get the work out about pediatric cancer. As engineers, we are particularly interested in building awareness for opportunities to apply bioengineering and nanotechnology to study or improve treatments. 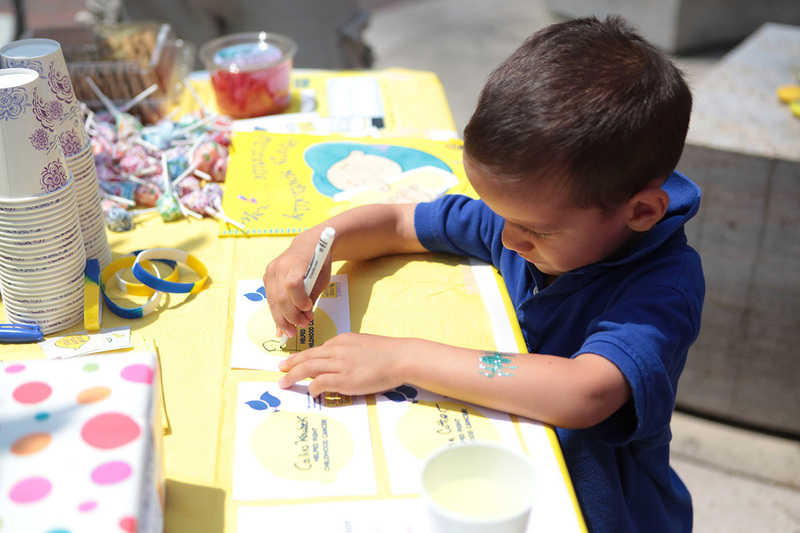 Along these lines, we hold a number of events in the community to raise donations to support pediatric cancer foundations and grow visibility of the challenges facing these tough kids. Hope to see you at one of our events! 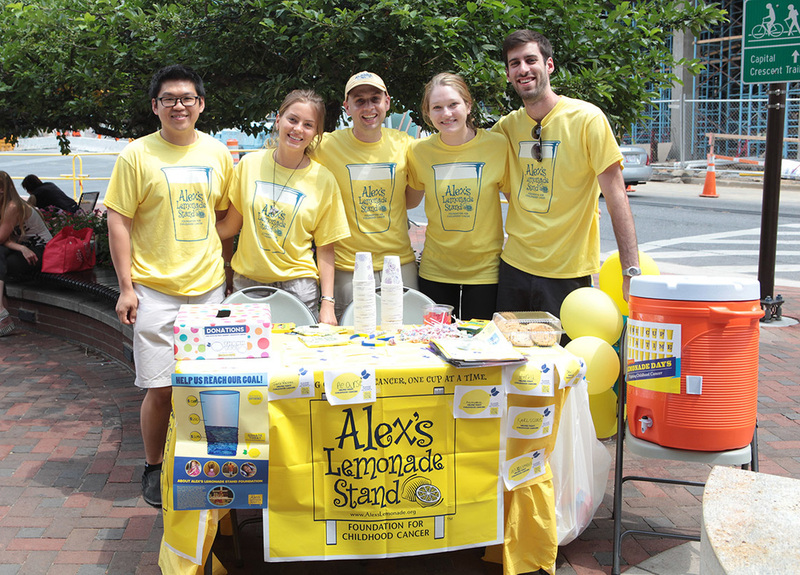 Learn more about Alex and how the foundation in her honor got started by following the link. 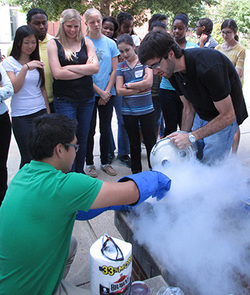 The University of Maryland Research Experience for Teachers provides immersive summer research experience to faculty from community colleges in our region. This NSF funded program is the is the only RET program in the country focused on providing research training to community college staff. 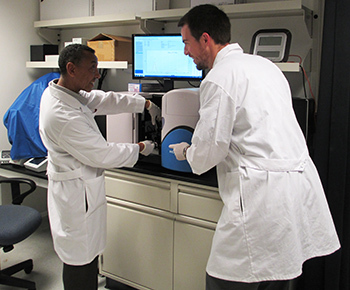 Our lab has previously hosted Ted Tadese from Montgomery College and Brian Kram from Prince George's Community College. Brian and Ted worked with us on developing polymeric vaccine carriers laden with small molecule drugs to help tune immune response. Building on their studies, they each developed curriculum elements to implement at their home institutions. To learn more about the University of Maryland RET program, contact the RET director, Prof. Isabel Lloyd and visit the RET website. 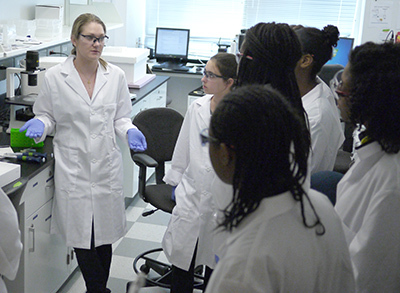 In collaboration with the University of Maryland Women in Engineering center, our lab has developed a Leadership Enhancement, Application and Design (LEAD) Academy that provides a full-day research experience for 20 high school students. Throughout the day, students have opportunities to interact with Prof. Jewell, along with bioengineering postdoctoral scientists and graduate students. 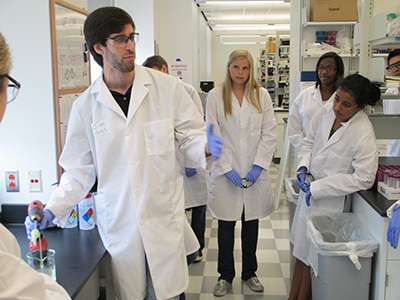 The program provides exposure to biomaterials and vaccines research, demonstrations, and hands on experiments. Activities include synthesizing polymer micro and nanoparticles, characterzing the properties of biomaterial vaccine carriers, and isolating DNA from strawberries. For more information on these science outreach programs for young adults - and even younger scientists - visit the Women in Engineering Center.